Spot the animal in common between two cards faster than your opponents. 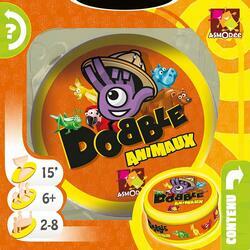 Dobble, the success of the game of reflexes and observation, is combined with the animal theme, for the pleasure of young players... and all the others! Contents of the box : 55 cards, 1 rule booklet.